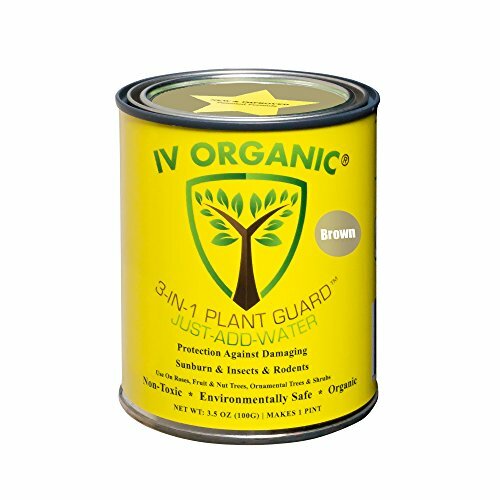 IV Organic 3-in-1 plant guard for trees & shrubs, such as fruit trees, ornamental trees, roses & shrubs are non-toxic, environmentally safe & organic products. 3-In-1 has up to 7 natural oils that effectively protects plants from sunburn, sunscald, insects & rodents. White-wash is an oil-free option, with the added benefits of garlic, cinnamon & castor, with the primary function of protecting your prized plants from summer sunburn & winter sunscald. Available in colors White, brown & green.